We humans used to eat a lot more fermented food. They could safely be stored just about anywhere for long periods of time while still retaining their healthfulness and for that reason alone we utilized fermentation for several millennia. It has really only been within the last hundred or so years that fermented food has lost popularity and more and more research is showing the decline in use has had devastating effects on our health. While we were busy preserving the bounty through fermentation for all those generations, we were likewise giving the bacteria encouraged by the process an environment in which to proliferate—our gut. We slowly built and cultivated a symbiotic relationship with those bacteria where they helped us and we helped them. But what happened when pasteurization, canning, chemicals, processing, and refrigeration came along and we stopped consuming so much living food? Not just what happened to the food, but what happened to our bodies without those friendly microbes? In the gut—where 80% of our immune system exists—there are over 100 trillion microorganisms, or thereabouts. In fact, according to Dr. Joseph Mercola, this mass of microscopic life makes up 3-5 pounds of our overall bodyweight. Within this massive collection of microorganisms is a diverse set of both “good” and “bad” bacteria. The good bacteria—those which boost our immune system and break down the millions of pathogenic organisms we swallow each day—thrive on probiotics, or more specifically, the nutrients, bacteria, and enzymes found in the fermented foods we used to eat regularly. The bad bacteria, on the other hand—bacteria which have been linked to many cancers as well as lethargy, constipation, acne, frequent colds, IBS, yeast and fungal infections, among other issues—thrive on processed and pasteurized foods. Those foods contain almost no probiotics and are by definition and intention void of life. You need to have a healthy system of bacteria in your stomach in order to keep the bad bacteria from taking over and the best way to do that is by eating more living foods. It’s especially important to consume a variety of ferments containing lactic acid—kimchi, kraut, pickles, kefir, kombucha, and so on. Lactic acid acts as an antioxidant and also normalizes the acid in the stomach, creating an environment in which many pathogens cannot survive. Making sure you give your gut a steady, diverse, but modest, dose of fermented food is essential to maintaining a healthy body and healthy mind, but likewise, a healthy weight. Even the famous Dr. Oz recommends traditionally fermented kraut for “blasting fat” by delivering a “gut-friendly flora that boost digestion and can reduce belly inflammation.” Adding fermented foods back into your diet, in other words, is a diet in-and-of itself. Over-the counter probiotics have been shown by some to work, but if possible I always prefer to get my nutrients from a dinner plate than a bottle. Try and eat something fermented every day if you can and switch it up often—diversity is the key to almost any successful system. A bit of kimchi, a sour pickle, a few ounces of kombucha, even a small sip of raw vinegar and honey would be greatly beneficial. Also, be sure any fermented product you buy is not pasteurized. The point of pasteurization is to kill bacteria, but that’s the opposite of what we want. The inside of your body is teeming with life. We contain ten times the amount of bacteria than we do human cells. Take care of your microbial life, feed them well, and they will happily take care of you—it’s in their best interest. If you have any questions or anything to add, please don’t hesitate to comment below or email me at roughdraftfarmstead@gmail.com. 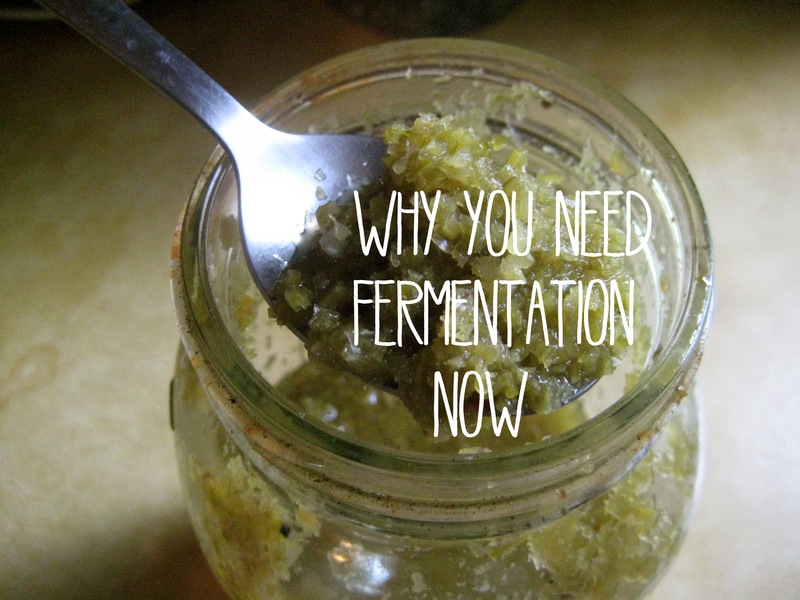 Editor’s note: Want to learn more about fermentation? 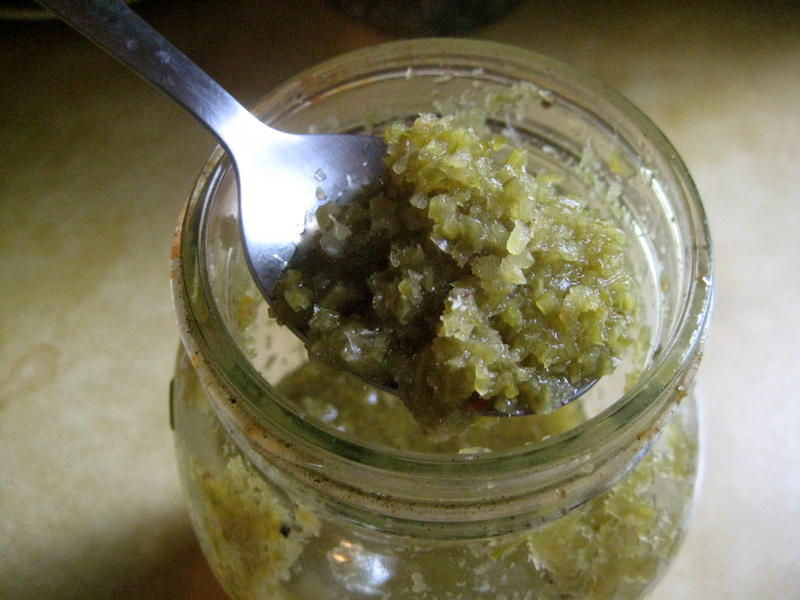 Read Jesse’s complete fermentation series. We also recommend Wild Fermentation and the Art of Fermentation, both by Sandor Katz. Would love more info about starting my own business.